This entry was posted in Quilting and tagged Domestic Machine Quilting Classes, Quilting, Wendy Sheppard Designs. Bookmark the permalink. ← Giveaway — Quilting Treasures Zola Fabrics to make an entire quilt! Wendy, would you consider giving some of your small quilts to the Fairfax County Chapter of Project Linus? These quilts would go to sick children at hospitals and clinics around the county and Washington DC. Hello Wendy, I really appreciated the refresher links even though I have been following you for several years now. I truly enjoy all of your posts! It is also so fabulous of you to share your destashing boxes with us. I know I am hoping to make the list, I would sign up for the magazines only I love magazines and have far more right now than storage room myself. LOL. 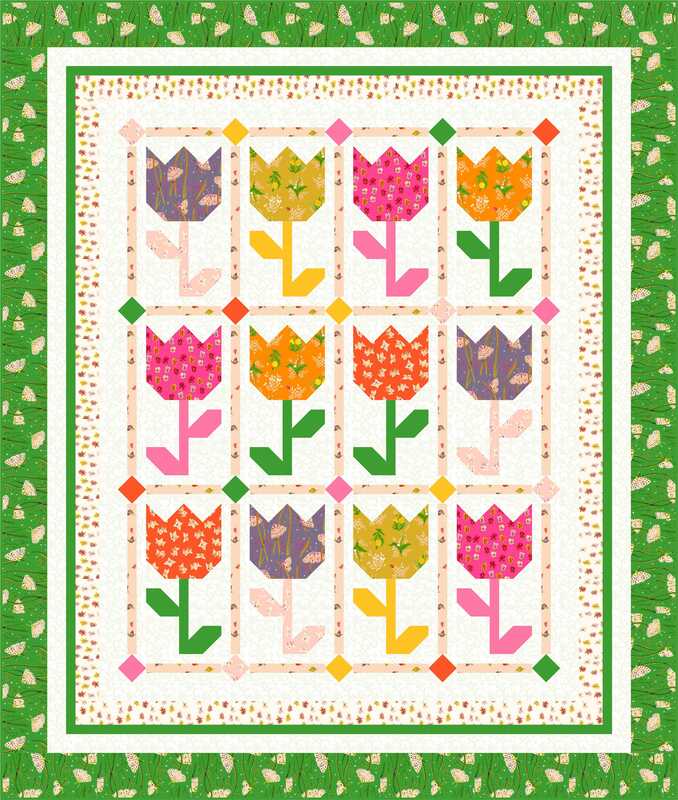 Thank you for sharing all that you do, like the beautiful tulip quilt today, and so much more! Have a great day! So glad to hear you are still de-stashing. I hope I’m on waiting list #3 . . . I’m really looking forward to receiving some of the beautiful fabrics you work with! I would love to be added to waiting list for your de-stashing fabric! 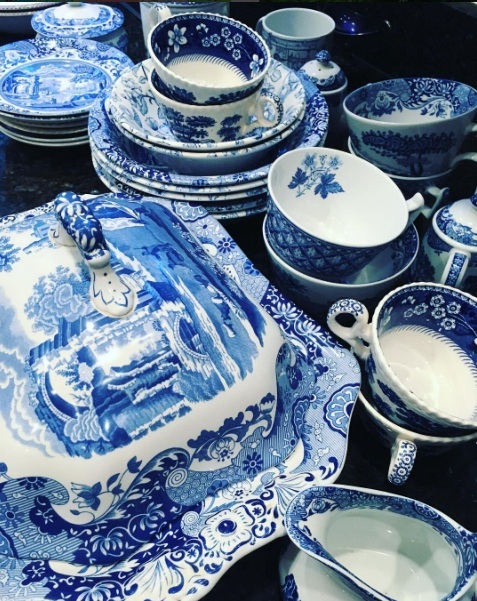 I’m also a dish-aholic; I collect all blue & white–also have Spode Blue Italian I see in your picture! Wendy forgot to mention what a sweet and encouraging person she is! Let’s hear it for Wendy!!! Yay!!!!!!!!! Ugh, I have so much stuff. :-D I do like collecting, now I have a lot of things from my parents. I do not know what to do with all of those treasures. I agree with Billie – you are the sweetest, most generous person. You are a treasure! YOU are so generous. And creative. And just downright wonderful. Would love one or six envelopes of your magazines. Found myself drooling over those Christmas ones shown in your post. I don’t often buy the special issues. And if you pack these envelopes like you did your boxes, it’s more likely that folks will receive a half dozen magazines! What fun to read the review! I also prefer oatmeal raisin cookies! Hope I made the 3rd waiting list for fabric! 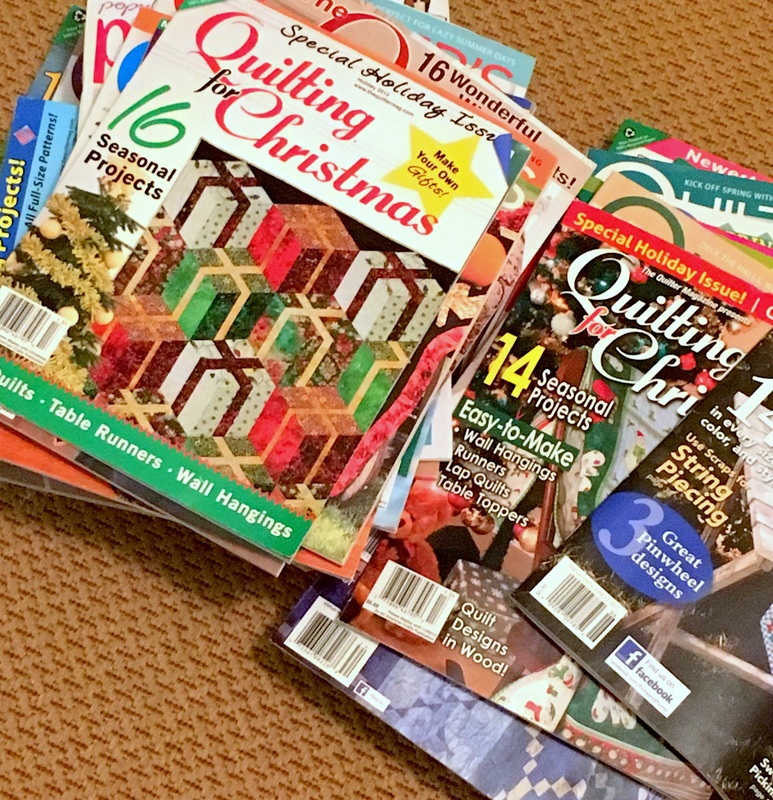 In case you hadn’t thought about it, magazines can be sent media rate very cheaply. I have enjoyed getting to know you over the last few months and I look forward to reading more of your story! Love your dishes. I collect them also. Mostly green depression glass but whatever I fall in love with usually comes home with me. 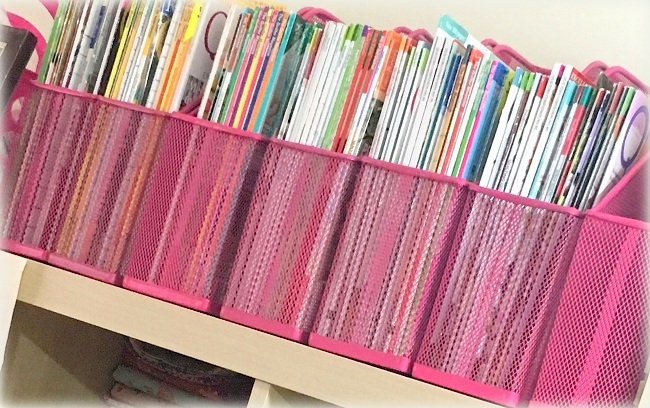 I might have to take some destashing lessons–dishes, fabrics and books take up lots of room! Hi Wendy, I have been an admirer of yours for years. I feel like we are kindred spirits because we love so many of the same things(I also have noticed we have many of the same dishes). 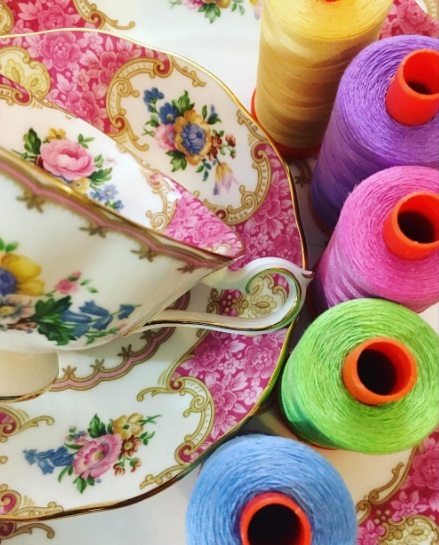 I would love to be put on the waiting list for your fabric stash as well as your magazine collection. Keep up all the beautiful work and thank you for so generously sharing your talents with us over the years. I’ve enjoyed your posts over the years and can’t imagine giving away fabric! But, you must make room for new collections I suppose! Congratulations to Marty. I love how you are such an exceptional “accidental” quilter. You have made such an impact on the quilting world and we are all the better off for it. Hi! I sent my name in for your fabric destash when you first posted it–still hoping I made the list!! I have stash fabric, but someone elses is always tempting.